June 10, 2013, Miami, FL- Boating is a favored past time in Miami and the Keys; it a great way to relax and unwind, but there is always the chance a boat being involved in a collision with another vessel or running into obstructions in Florida’s busy waterways. On Sunday, June 9th two boats making their way to a sand bar near Elliot Key collided just after 6:00 p.m. ABC news reported. Officials are unclear what caused the two vessels, a 28 ft. boat carrying 2 people, and a 36 ft. boat carrying 16 people, to collide, flinging passengers into the water. The “violence” of the collision actually capsized the smaller vessel, and injured at least nine of the passengers. The majority of injuries were “minor to moderate,” resulting in mostly “lacerations and pulled muscles.” However one person sustained a leg injury and a possible concussion and had to be hoisted out of the water by helicopter. Pino told ABC news that both boat captains submitted to field sobriety tests and did not appear to be intoxicated. Authorities are unclear what the exact cause of the accident is, but Pino added that charges are possible if they discover that either captain violated Florida boating laws. “Whenever there is an accident on Florida’s waterways its incumbent upon both captains of the respective vessels to maintain a proper lookout,” Pino told ABC News. Recent data from the Florida Fish and Wildlife Conservation Commission shows that the major cause of boating accidents is collisions between two vessels and inexperienced boaters are the primarily to blame for these crashes on the water. Alcohol, inattention and carelessness are also common factors in boating accidents. These accidents sometimes result in grievous injuries which can include broken bones, spinal or brain trauma or paralysis. The majority of deaths associated with a boating accident are caused by drowning. In 2011, 67 people were killed in boating accidents and an additional 431 people were injured on Florida waterways. That may be a relatively low when compared to automobile accident statistics, but a death or serious injury has a huge impact on the lives of victims and their loved ones. 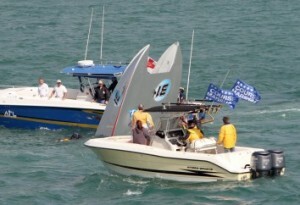 Typically, boaters are not required to have insurance, unless they have a loan, but some owners decide to carry liability insurance in case of collision. If a boater does not have insurance and they injure someone, the victim may find it difficult to obtain compensation from the responsible party. Negligent boaters can be held accountable for their actions and required to compensate victims for their medical costs, lost wages, and damages for their pain and suffering. Miami personal injury attorney Jonah Wolfson has 12 years of experience litigating personal injury cases and has won a number of million dollar settlement on behalf of part clients. If you have been injured in the Miami and are looking for an attorney to aggressively pursue your case, Jonah Wolfson is the right choice for you.